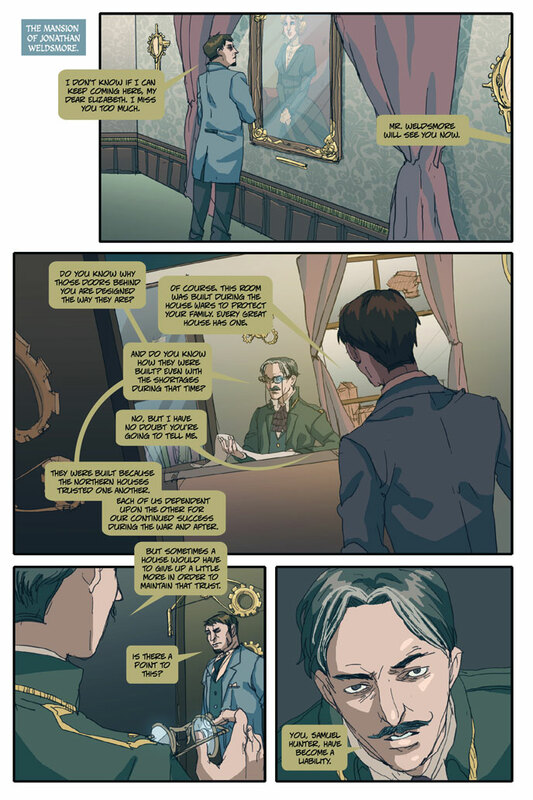 Boston Metaphysical Society – New Page and Kickstarter News! Page 4 is posted early this week as I’m on my way to San Diego Comic Con. The exciting news is that I will be launching a Kickstarter in mid-August to fund the production and printing of Issue 5!! If you’d like to receive exclusive Kickstarter updates, please sign up for the email list here: BOSTON METAPHYSICAL KICKSTARTER EMAIL UPDATES. We’ve got some fun incentives in mind so stay tuned!! 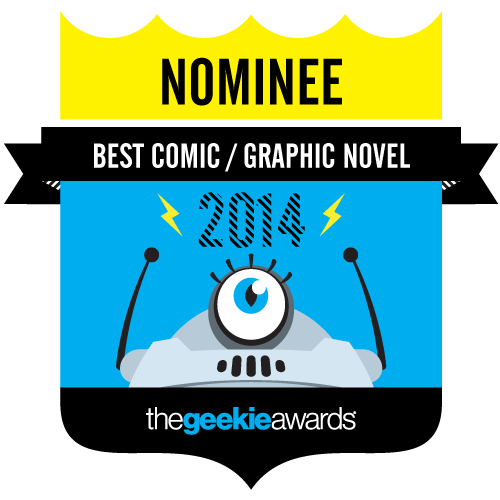 BTW, here is our official badge for our nomination for Best Comics/Graphic Novel category at THE GEEKIE AWARDS. I’m so proud of the entire team. Everyone have a good weekend and I hope to see you in San Diego!